My bears are always evolving. 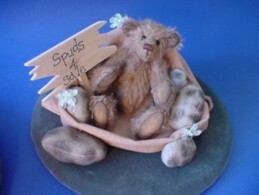 At the moment I am branching out making little friends and toys for the bears. He's a little cutie ! 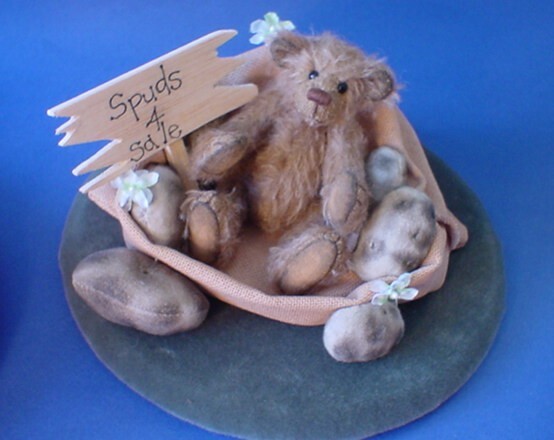 He is 4.5 inches high made of mohair with ultra suede paw pads that are aged with fabric paints.